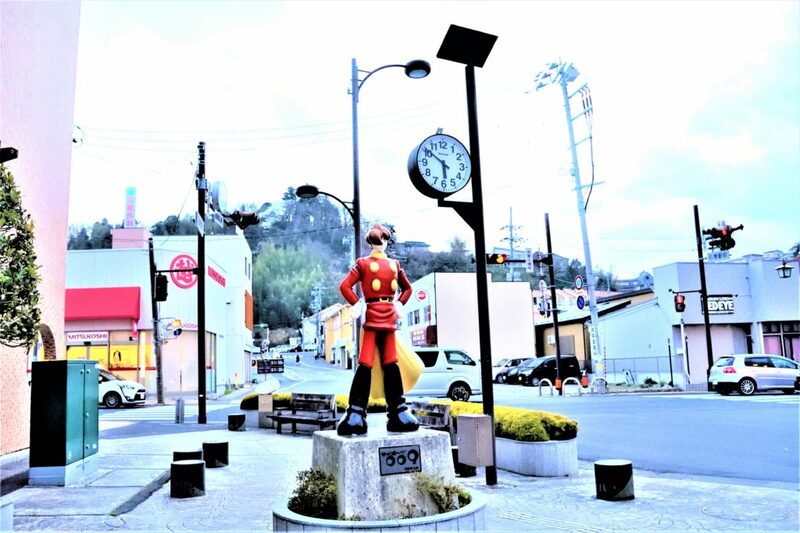 When you visit the second city of Ishinomaki in Miyagi Prefecture, the popular characters created by the famous comic artist Shotarao Ishinomori depicting “Cyborg 009” and “Masked Rider” will warmly welcome you in the city. It was About 1 km from Ishinomaki Station to Ishinomori Manga Museum, the road is named Manga Road. Various works by Ishinomori are strongly supporting Ishinomaki, one of the cities most affected by the earthquake. In the street in front of Ishinomaki, I entered Fujiya restruant, founded in 1950, famous for “Ishinomaki Ishinomaki Yakisoba”, which was resumed after the disaster. Soft buckwheat noodles have a unique texture, and the noodles are rather thin. The texture is quite soft, and the seafood taste makes you appetite. The color is darker, but the taste is more light than it looks, and the taste of the tabletop source is adjusted. Topping is fried egg and red ginger. It was closed for a while after the disaster, but was resumed to preserve the food culture of Ishinomaki, and the delicious yakisoba cheered up local citizens and travelers. On the way to the riverside, there is a commercial facility "ISHINOMAKI ASATTE" which opened in November 2016. “Tatemachi Street”, which became flooded area by the 2011 tsunami, was said to be a shuttered street except banks lined up. Under such circumstances, landowners and experts worked together to start a major redevelopment project. They gave birth to a whole new pluralistic facility to care for various problems of Ishinomaki. Furthermore, when you headed towards the river, there was the "Old Kankeimaru shop" completed in 1930. It looks like a massive stone, but it is a wooden three-storey store / house, and the building with the tiles that were popular at the time is modern and fashionable. It is the first department store in Ishinomaki, and it is a Western-style architecture with a view of Japanese and Western, including fan lights and round windows. This building is said to have flooded the ground floor during the tsunami. However, the building was earthquake-proofed as a tangible cultural asset of Ishinomaki City, and was reopened as an exhibition facility about the history and culture of Ishinomaki and an information base for cultural exchange. Ishinomaki "Recovery from disaster and town development information interchange center"
Mr. Richard Halberstadt, a British citizen who has lived in Ishinomaki for about 20 years, serves as the navigator and director. After the disaster, he refused to recommend return from his home country, chose to stay in Ishinomaki, and was committed to reconstruction. He gets a lot of trust and respect from the locals. He is introducing visitors from around the world who want to know the affected area and want to learn from the earthquake, Ishinomaki for the earthquake and reconstruction. Unfortunately, on the day I visited the center, Halberstadt was absent and I could not hear the story, but I wanted to visit him again on the day he was in the hall. "Ishinomaki Mangattan Museum" Connect the dreams of Ishinomaki citizens towards the future! 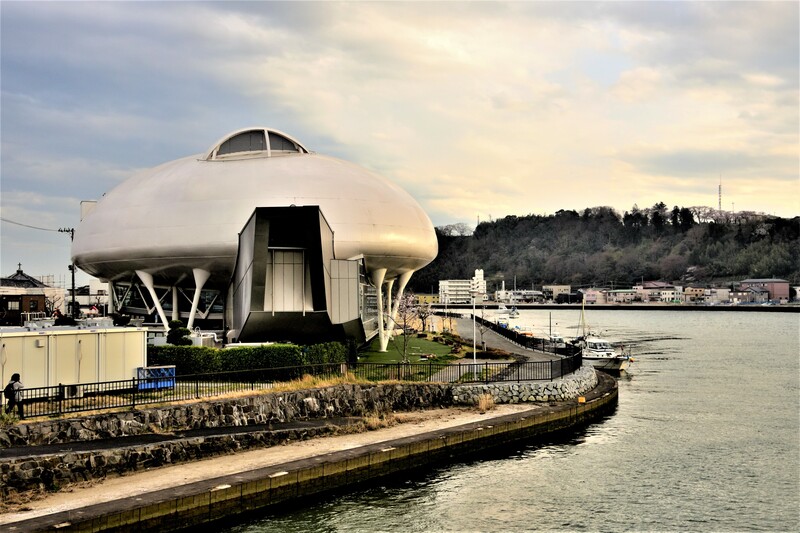 Ishinomaki Mangattan MuseumOn the other side of the river where traces of earthquake disasters were to be found, Ishinomaki Mangantan Museum was seen shaped like a spaceship that is a symbol of the city. Ishinomaki that the late Shotaro Ishinomori teacher added through. After inheriting his spirit, the Museum seems to be in the form of a spacecraft to fly into the world at any time. Mr. Shotoaro Ishinomori also deeply involved in the concept of the Museum. The Ishinomaki Mangantan Museum is a dream space that children and adults alike can enjoy, passing on the wishes of Mr. Ishinomori, who passed away in 1998. You can enjoy the Ishinomori World, including valuable original sheets, as well as exhibitions and attractions that reproduce the world of works in three dimensions, and screening of original animations. At the time of the Great East Japan Earthquake, it was flooded to the 6.5m point on the 1st floor, and the ones on the 1st floor broke through the glass and were all swept into the river. A chaotic situation continued, with the situation not known when it could resume. Under such circumstances, a message of encouragement from all over the country and a message of about 10,000 people written on a plywood board that blocked the broken glass of the front entrance caused a new movement. The movement to reopen the museum as a symbol of reconstruction increased day by day, and was reopened one year and eight months after the earthquake. There were 4,000 visitors at the reopening. In December 2017, the number of visitors exceeded 3 million. The revival of the city's symbol would have given the citizens a strong message that they are moving forward. Masked riders sit on benches in the rest area to watch the Ishinomaki revival situation. When I went outside, I found a flowering cherry sapling in the back of the other side of the river that was being constructed for recovery. I would like to share the thoughts of Ishinomaki citizens who wish for a figure of the riverside surrounded by nature and cherry blossoms and greenery to the saplings of that cherry blossoms. Add a new "bridge" to the future! Ishinomaki going forward looking at "Kawamachi development"
On the way out of the Ishinomaki Mangattan Museum and crossing the Utsumi Bridge, looking up upstream, a new bridge was being constructed. The Utsumi Bridge, which has played a key role in transportation for many years, has been dismantled and it is expected that it will be a symbol of development for the future development of the New Uchiumi Bridge, which is directly connected to Ishinomaki Highway. A little more, the bridge will reach the other side, and a new history will begin again. As with Utsumi Bridge, which travels with Ishinomaki's history, New Utsumi Bridge will be a beloved and bustling bridge for citizens as well. Based on the former Kitakami River, Ishinomaki has prospered as "Kawaminato" since ancient times. Citizens' feelings toward the former Kitakami River are strong, they suffered great damage in the Great East Japan Earthquake, but the country and Ishinomaki City, residents form a scrum, and develop "Kawamachizukuri" to be a recovery base in the river mouth area doing. The aim is not just the construction of a river embankment, but the waterfront space where people gather and relax. After the earthquake, Miyagi prefecture's second city, Ishinomaki City, continues to depopulate, aiming for “aiming as the world's reconstruction model city from the city that suffered the largest disaster”. Ishinomaki, which continues to take on a major challenge, naturally felt strong emotions that I would like to visit in the near future. In addition, I was encouraged by the attitude of continuing to transmit “Forward moving Ishinomaki!”, which will lead to reconstruction. By car: 15 minutes from Ishinomaki Kanan exit on Sanriku Expressway.